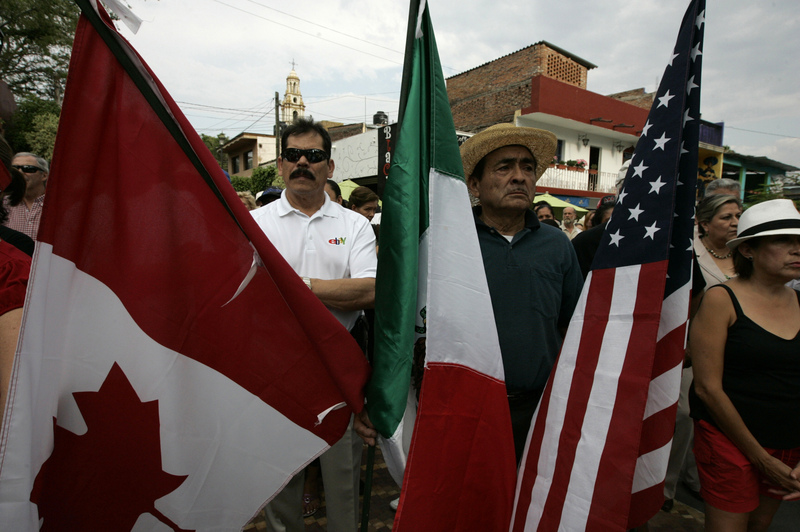 The United States, Canada and Mexico are negotiating separate pacts with EU and Pacific Rim nations. A combined effort, however, would offer more leverage and lead to simplified commerce within North America. The trade accord’s 20th anniversary is a good time to show solidarity. U.S. President Barack Obama, Canadian Prime Minister Stephen Harper and Mexican President Enrique Peña Nieto are meeting in Mexico on Feb. 19 to mark the 20th anniversary of the North American Free Trade Agreement (NAFTA), which went into effect on Jan. 1, 1994. Meanwhile Mexico, the United States and Canada are negotiating with Pacific Rim countries on a Trans-Pacific Partnership free trade agreement. The United States and the European Union are also holding talks on the Transatlantic Free Trade Area (TAFTA). The European Union-Mexico Free Trade Agreement became effective in 2001, and Canada and the European Union agreed in principle on a Comprehensive Economic and Trade Agreement on Oct. 18, 2013.